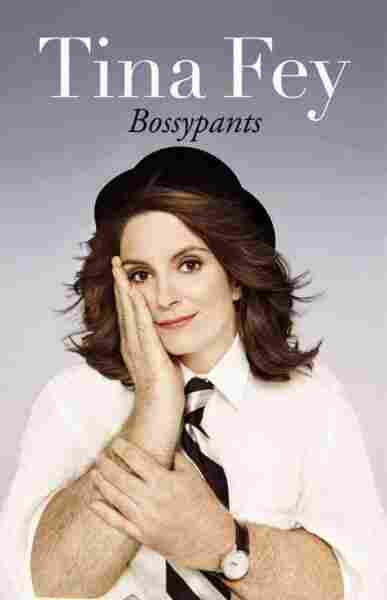 I received Tina Fey's new book, Bossypants, last Friday and read it straight through until 7:40 Saturday morning. I guess, as they say, I couldn't put it down. Not just a trite expression; in this case it is literally true. Switching gears for a second: I'd like to reach back to the turn of the century, specifically the 1990s. Career wise things were going very well for me. And I was frequently ashamed of that fact. Especially when I knew Tina Fey and Amy Poehler. They were always so much funnier, and so much younger, than me. And I could only assume they were as perplexed by my success as I was. Now that we are well into the oughts and their careers have taken off, while I spend more time NyQuil napping and loitering in bookstores, things feel more just — somehow corrected. Bossypants is not so much a memoir as it is a sort of here's-what-happened-and-why-I think-this kind of book. It's honest and intimate, without any maudlin tales of childhood sorrow, no extraneous snark or hit-and-run tell-all gossip. It's just a great read from a mature thinker. Fey's stories from The Second City comedy theater in Chicago, Saturday Night Live and 30 Rock make it abundantly clear that she is adept at negotiating any and all obstacles in the workplace. In short, she is everything I am not. For example: the first female head writer at SNL, Emmy Award winner, Writers Guild award winner and recipient of the Kennedy Center Annual Mark Twain Prize for American humor. She has written screenplays, she created 30 Rock and she was named by Entertainment Weekly as an entertainer of the decade. While I was nominated Showtime's funniest person in Rhode Island in 1985. Where she has thrived, I have readily thrown in the towel and shown my belly in the dog park of show business. Only to awkwardly hobble away with bullet-ridden feet and bridges smoldering behind me. Particularly hilarious were the chapters on her honeymoon and having a child — again thankfully devoid of hackneyed sentiment. Another area of interest to me was Tina's discussion of what happened when she impersonated Sarah Palin on SNL and became a target of ill-founded wrath. Regrettably, it's always been easy to marshal cultural hostility toward women. Especially in politics, where double standards and misogyny tend to dominate the conversation. Those are my words, not Tina's. Anyway — it is something that, as Fey rightly points out, has never happened to Dan Aykroyd, Dana Carvey or many other men who do political satire. It is difficult to be a woman or a person of color in the entertainment industry, but this book is not about that. Tina Fey is part of a generation of women who have changed the face of comedy at Second City, SNL, in sitcoms and in film. In front of and behind the camera. And that is my book review. Janeane Garofalo is an actress, comedian and activist.